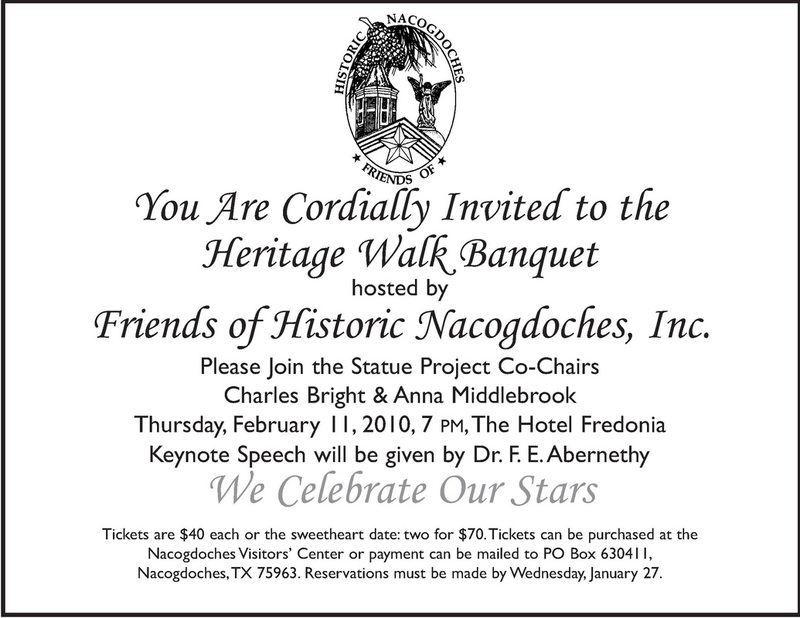 The Statue Banquet Feb. 2010 - FRIENDS OF HISTORIC NACOGDOCHES, INC. The Heritage Walk Banquet on February 11, 2010 (we had snow! 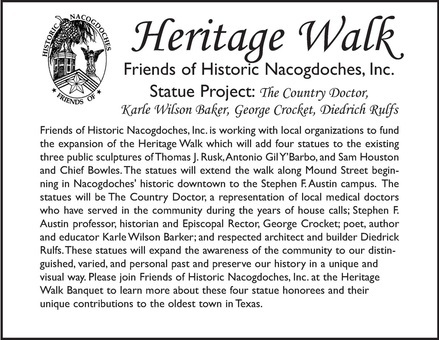 ), organized by Anna Middlebrook, was a great success and kicked off a fundraising campaign for the second series of Heritage Statues. However we still need the support of the public for this important cultural & historical project.